You’re most likely very familiar with temporary and disposable contact lenses – either you currently wear them, you have worn them in the past, or you know someone who wears them. There’s actually an amazing substitute that brings more convenient. Implantable Contact Lenses (ICL) are another form of contacts that were approved by the FDA in 2004 and are able to treat high levels of nearsightedness. Wanting to see with a bright vision is more than just a convenience. If you are one of the nearly 2 million Filipinos with visual difficulties, according to the U.S. Census Bureau, wearing glasses or contact lenses is an absolute necessity that is sometimes not enough. Implantable Contact Lenses (ICL) can likewise eliminate the need for glasses. ICL actually works like a contact lens and the procedure aims to correct refractive error without compromising the integrity of cornea structure. It is a tested alternative for those who are not declared good candidates for LASIK. It acts just like a contact lens but instead of being worn on the surface, it is directly placed inside the eye, or behind its structure, the iris. It is a wonderful alternative to LASIK and for PRK eye surgery as well in terms of correcting moderate to severe myopia (nearsightedness). There are cases wherein it actually produces better and more predictable vision results compares to the laser refractive surgery. ICLs are similar to intraocular lenses (IOLs) used in cataract surgery to substitute the clouded natural lens, with one significant difference. They are “phakic” lenses, meaning that they work with the natural lens, which remains in its place. Yet, unlike the contact lenses you may be wearing now, an implanted lens does not dry out or become dirty. Another key matter with the procedure is that it doesn’t change the shape and thickness of the cornea significantly. Given that, cornea related complications will be avoided in the process. While you feel the presence of contact lenses, the same can’t be said for ICL as you basically can’t feel it in your eye. Maintenance won’t be a problem as well as ICLs don’t require it. • It is capable of correcting high degrees of nearsightedness that cannot be rectified by other eye surgical procedures. • A great alternative for LASIK as it is performed to patients who have corneal thinness and irregularity. As we know, both beneficial eye procedures help patients achieve perfect and clear vision minus the need for glasses or contact lenses. Still, they are two different vision-correcting procedures that are conducted in very different ways with different specifications. While we know that LASIK can do a lot of wonders for one’s vision, not everyone qualifies as a good candidate for LASIK. That’s where ICL procedure comes in as it allows those who don’t qualify for LASIK an effective alternative to enhance their vision. Contrary to LASIK, ICL does not alter the shape of the cornea. As an alternative to LASIK, ICL provides vision correction that goes beyond LASIK in certain cases. The procedure enables you to enjoy crisp sharp and rich vision with good color contrast and enhanced night vision in certain cases as opposed to LASIK. Currently, LASIK is the most popular and preferred type of refractive surgery for convenient and effective reasons. Safe and tested with advanced technology, LASIK makes visual outcomes better even more. As earlier mentioned, however, now everyone can be a good candidate for LASIK surgery, leaving those selected few to look for an alternative which the ICL procedure can provide. Having too much astigmatism, nearsightedness or farsightedness; extra thin or irregularly shaped cornea; and having certain eye conditions like keratoconus and dry eye syndrome forces one to not be eligible for LASIK. For those who are not deemed a good candidate for LASIK, ICLs might be better suited. While the LASIK Procedure relies on a laser to remove tissues from the cornea to be able to correct and enhance vision, ICLs, on the contrary, do not require the removal or altering of the corneal tissues as vision is corrected through the placement of a lens inside the eye instead. So if one will not qualify for LASIK, ICL Procedure can be the answer as it can likewise provide excellent results, too. Normally, candidates are between the ages of 21 to 45 years old. These candidates are the ones who suffer from moderate to high myopia of up to -19.0 Dioptres, hypermetropia of up to +10 Dioptres and astigmatism of up to 6 Dioptres. Preferably, candidates should not have any eye diseases, systemic conditions like hypertension and diabetes, and lastly, no previous surgeries done. ICL Procedure is basically for people who have thin cornea and/or refractive error. They are also those who are most probably not qualified to undergo LASIK. The entire ICL procedure normally lasts between 20-30 minutes. It is an outpatient surgery and the patient can go home after the entire treatment. 1. 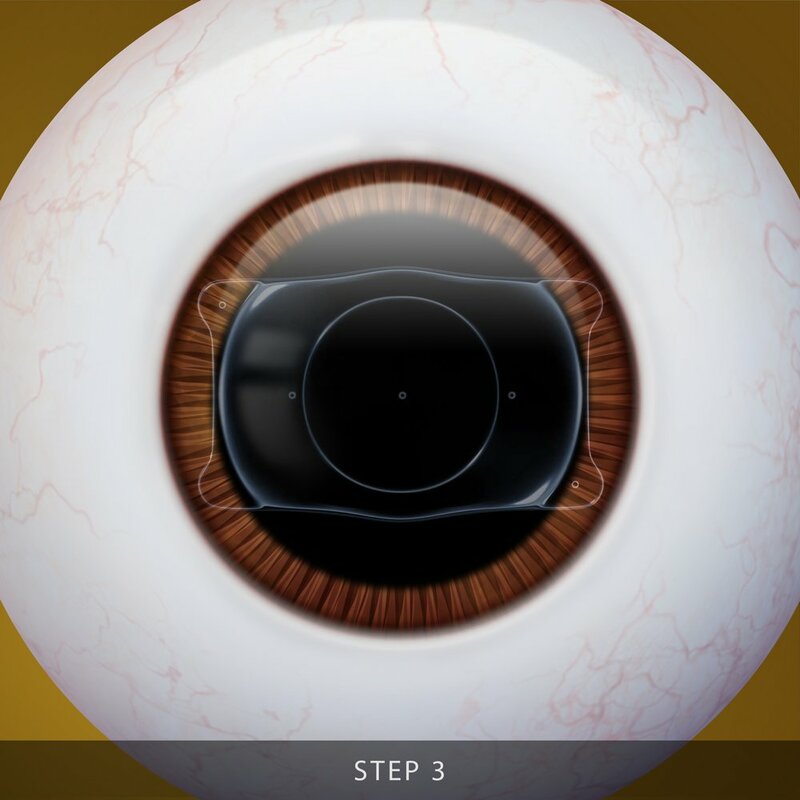 The eye will first be numbed with the use of a local or topical anesthetic prior to the procedure. 2. Small incisions will then be made in the cornea, enabling the placement of the needed tiny cartridge that will hold the ICL. 3. Upon the implanting of the lenses, a gel will be placed into the eye for protection against damages during the surgery. That also helps in settling the lens in its right place. 4. 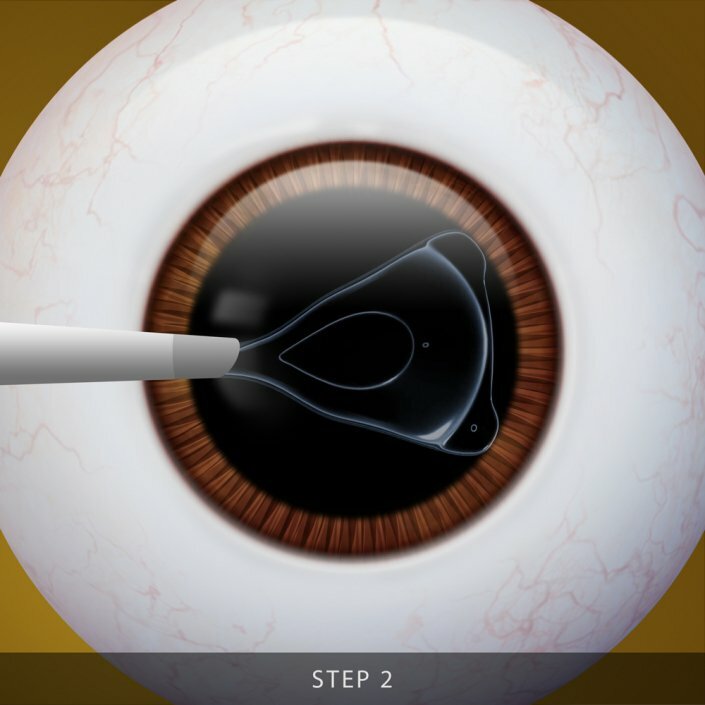 The ICL is bound to be inserted in between the natural lens and the iris of the eye. 5. Upon the complete unfolding of the lens, the corner of the it will then be tucked behind the iris for it to be invisible and unnoticeable. Lastly, the gel will be removed afterwards. It is important for the incision to be extremely small that is self-healing. The good thing about the ICL Procedure is that it is proven to be safe and effective as it does not modify the thickness and the shape of the corneal tissue in any way. 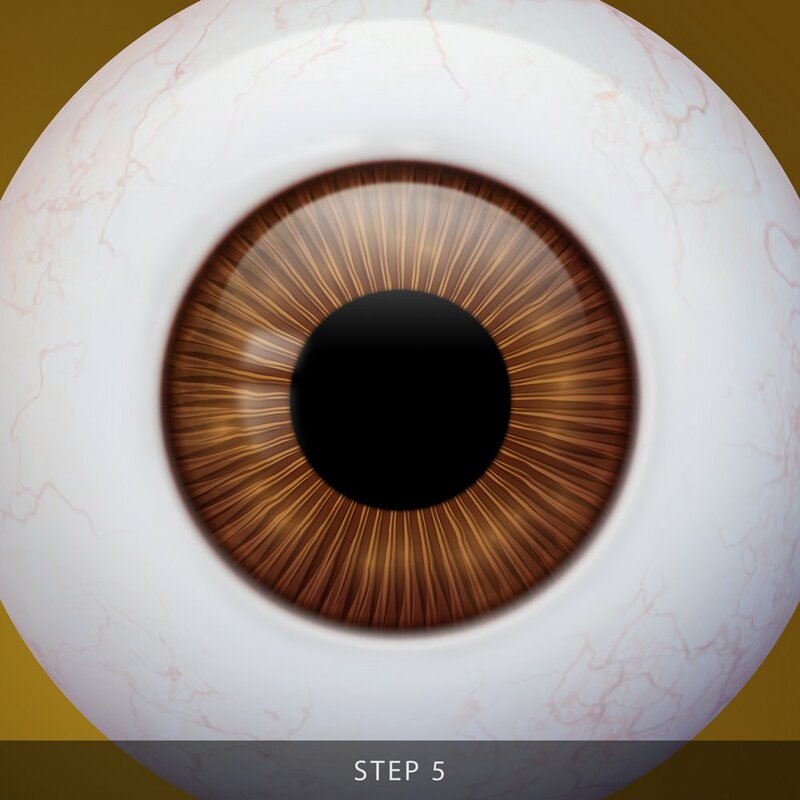 Together with the eye’s natural lens, the implanted ICL lens are certain to improve vision. As mentioned, it is a perfect alternative for LASIK as those who will fail to qualify for that procedure will have a fallback option that improves visions permanently. Generally, the risks that come with ICL is significantly low. Still, given that it is an intraocular procedure, there’s still a risk of sight threatening complications. But as mentioned earlier, the procedure presents minimal risks. Following the surgery, daily activities, with minimal maintenance, can already be continues. • Cataract – Clouding of the eye’s natural lens that causes cloudy and blurry vision, possibly blindness if left untreated. However, cataract removal through surgery is one of the most effective procedures. • Blurry and Distorted Vision – Such visions may occur for a stretch following the procedure but these visual symptoms eventually disappear or decrease upon the healing of the eye. • Infection of the Eye – Such complications can be reduced or avoided with corresponding anti-inflammatory and antibiotic medications. • Glaucoma – A significant eye pressure that can cause damage to the optic nerve and eventually, vision loss. To control the pressure, medications for Glaucoma are prescribed. • Retinal Detachment – In this case, the retina gets separated from its supportive tissue, causing one to experience poor vision. However, these risks are low and minimal, fortunately, making it a proven safe procedure. As aimed by the procedure, majority of the patients would already notice significant improvement in their vision several hours after the surgery. Still, improved vision might be blurry with increased sensitivity for the first few days after the procedure. Optimal effects are expected to be felt and noticed around seven days, more or less. Naturally, minimal discomfort is expected following the ICL Procedure. Should it be necessary, a patient can be prescribed a medication for more comfort in the following days post-surgery. A patient is required to return for a follow-up checkup a day after the surgery to see immediate progress and effects. In order to have a safe and sound recovery, following every post-operative instructions carefully are musts to avoid any complications that may arise. In line with this, it is likewise important to strictly avoid rubbing the eye, as well as having vigorous activities until after several weeks when the eye has completely healed. Following the surgery, most patients can actually return to work the soonest and resume driving after a couple of days, provided that they already have a go-signal from the doctor. Who needs the ICL Procedure? The ICL Procedure is for those who were deemed ineligible to undergo LASIK due to corneal thickness and/or refractive error. How can one be considered a good candidate for the ICL? One who has myopic and is between the ages of 21 and 45 is a very likely candidate for ICL. It is also preferable that the hopeful patient has not had any previous surgeries and/or any history of eye disease like glaucoma, iritis or diabetic retinopathy. Is there an examination prior to ICL Procedure? Yes, just like other laser refractive surgery. One needs to undergo a Comprehensive Eye Exam and Screening, which lasts around 2-3 hours, first before being declared eligible for the procedure. The ICL is made from a soft biocompatible co-polymer of Collamer and Fibronectin, which vaults over the crystalline lens of the eye. Where exactly is the ICL placed? The ICLs are to be placed inside the eye. They are surgically inserted there through a very small incision behind the iris, right in front of the natural lens of the eyes. Can the ICL still be removed from my eye? Yes, the ICL can still be removed from the eye if necessary, even though it is intended to remain in place permanently. Should there be a need for an update or further correction, the ophthalmologist can remove the lens. Is the lens seen and visible? No, it’s not. Since the ICL is positioned behind the iris, the colored part of the eye, it is invisible and cannot be seen. How long is the recovery time following the ICL Procedure? Like LASIK, the ICL Procedure is an outpatient treatment wherein one can go home right after and then get back to work the next day. Also, the patient is required to have post-operative exams to further examination and resting of vision refraction. Can we still adjust residued error of refraction after ICR insertion? Yes, it is possible with a corneal refraction touch-up procedure like PRK or LASIK.